Ed Sheeran’s return to music continues to bless us every day. 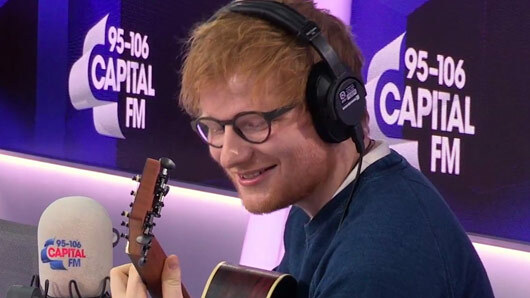 In a surprising move we didn’t know we’d spent our whole lives waiting for, Sheeran agreed to make a fan’s life by singing The Fresh Prince of Bel Air‘s theme song on the Capital Evening Show with Roman Kemp. In fact, we think Sheeran may have practiced that at home before! Ed Sheeran delighted fans last week by returning from a music hiatus with the surprise release of two new songs and the promise of a third album. The two new songs ‘Castle on the Hill’ and ‘Shape of You’ marked Sheeran’s return to music after more than a year off to travel the world. He said the double release was “cause I have been away for a bit”. Sheeran’s new album ÷ (Divide) is released on March 7, 2017.